The MIFARE Ultralight chip from NXP, in a circular sticky label format. 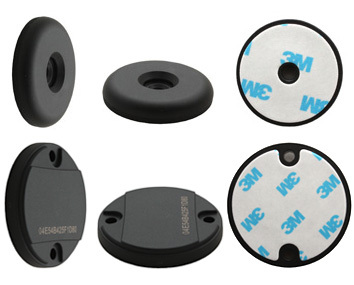 Operates at 13.56 MHz wireless frequency, according to the ISO 14443A standard. Contains 48 bytes of usable read/write memory, with no security protection. 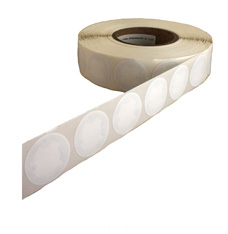 Supplied as white 38mm diameter self-adhesive plastic labels, on a roll.